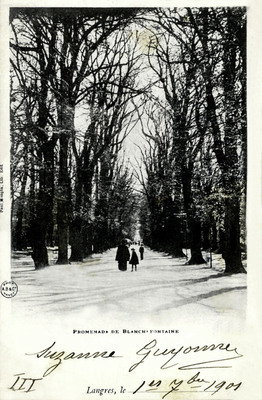 "Langres - Promenade de Blanch-Fontaine"
One black and white postcard with an undivided back. The postcard was published by A.B. & C. of Nancy, France and is from the bookshop of Paul Mongin.